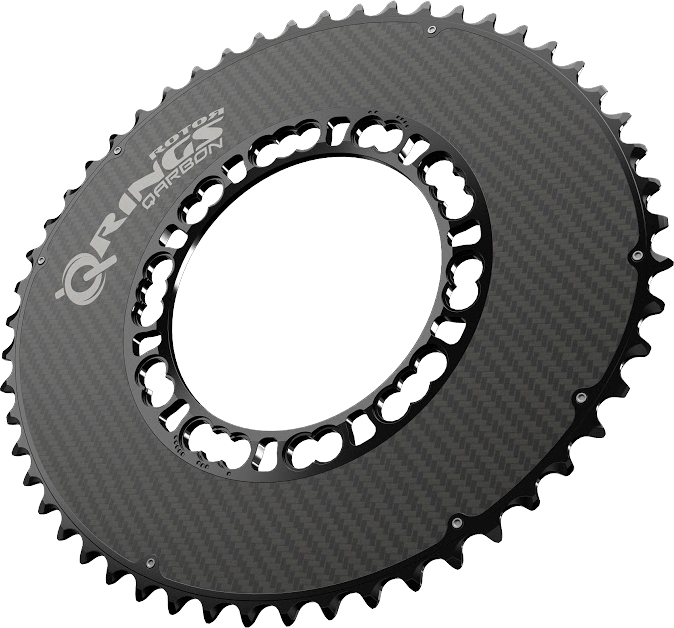 Many professional riders have successfully used oval chainrings for years and know about Q rings’ advantages. Here you will find information about ergonomics, the science behind oval chainrings, and you will learn about some of the pros’ experiences from a road, triathlon or MTB perspective. SOUNDS FAMILIAR, ISN’T THAT LIKE BIOPACE? There are significant differences between Q rings and Shimano’s Biopace, which was well-known in the 1980’s/1990’s. ROTOR Q rings simulate a higher gear at the point of maximum force, i.e. the most productive part of the pedal stroke, and therefore leverage the power phase (Fig.1). In the pedal rotation’s dead spot (Fig.2), where we exert the least force, a simulated smaller gear enables us to more easily overcome this dead spot. With Biopace, it was exactly the opposite. 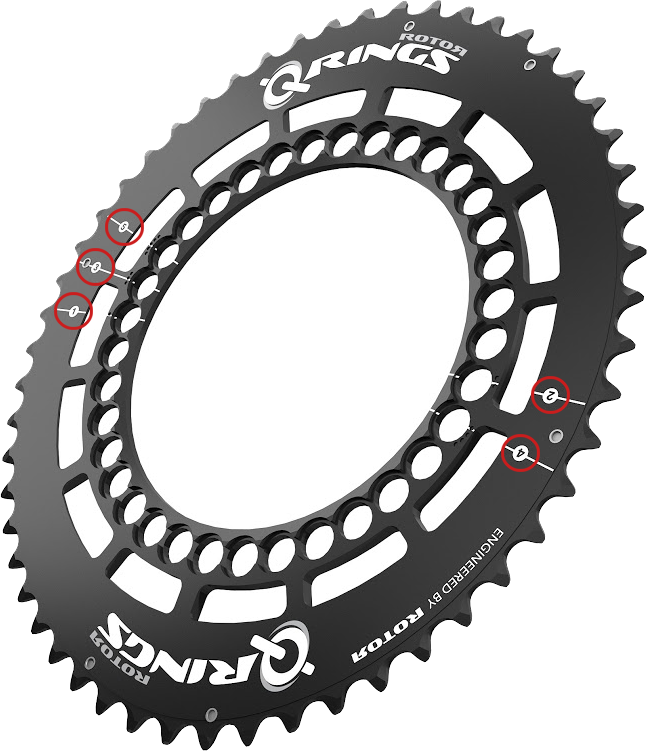 In addition, Q rings feature up to 5 Optimum Chainring Positions (OCP) that can be oriented around a cyclist’s distinct pedaling characteristics. How do Q rings work? What can Q rings do for you? Q rings make use of your leg muscles in a different way than round chainrings do. By doing so, the intermuscular coordination of your movements changes and it takes some time to adapt. The following guidelines describe the adaptation process from round to oval. Each phase can vary from a day to a week. Complete adaptation to the new chainrings can take up to 10 hours. Nevertheless, it only takes one pedal stroke for you to feel the oval chainrings’ benefits from the very first minute. You will note it significantly when climbing, as well as in an aerodynamic position when training for time trial or triathlon. If you have trouble with your knees when riding, pay special attention to them during the adaptation phase. Riding with oval chainrings affects different biomechanical processes and strengthens the inner leg muscles, which, in turn, lessens strain on the knee. Riding with oval chainrings can therefore particularly help cyclists with knee problems to enjoy more frequent and longer rides. Adaptation isn’t limited to habituation, but also includes training muscles that were used minimally before. This leads to a better overall balance of muscle groups involved when riding. Once you passed through this process you will notice – oval becomes normal. Pedaling may feel different in the beginning and may lead to a higher or lower cadence, any jerky movement you may feel will become smooth. You are learning now to pedal more efficiently. Muscle fibers adapt and the pedal stroke activates more muscles, this normally happens really quickly. You feel stronger and notice a better pedal stroke when climbing. A new feeling for stronger and weaker leg muscles can also be noticeable throughout the adaptation process. Your muscles get used to the new form of chainring rotation, allowing you to overcome the two deadspots more efficiently. Your pedal stroke starts to feel smoother although it is not yet perfect. Tested and proven biomechanical efficiency allows for an entire activation of all muscle groups. This results in more power than with round chainrings; stress on the knees is reduced. Having Q rings installed in the correct Optimum Chainring Position (OCP), pedaling feels smoother and better than before, and you feel stronger. When riding in the wrong OCP you will not feel any benefit and can even feel uncomfortable. 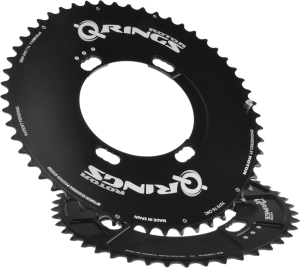 Q rings reduce your fatigue (causing less negative force in the dead spot), optimize your performance (more positive force in the “power phase”) and enable you to overcome demanding sections easier than round rings can. All ROTOR Q rings can be installed – or timed – in different Optimum Chainring Positions to optimize your Q rings according to your unique pedaling characteristics. Setting your OCP is done in a few minutes and all you need is an allen key. If you haven’t yet determined your OCP, have a look at the small booklet that comes with every ROTOR Q ring; it contains simple instructions about how to find your correct OCP. In more than 90% of the cases, you will be fine with the standard, recommended position (e.g. “3” on a road bike). This is another reason why we recommend going through part 1 first, ride for at least 10 hours before changing the OCP. With respect to road cycling, “standard” means position 3 out of a 5 possible positions – which means you still have 4 other options to try out. With respect to off-road riding, standard means position 2 out of a possible 3, so you have two other options to work with. 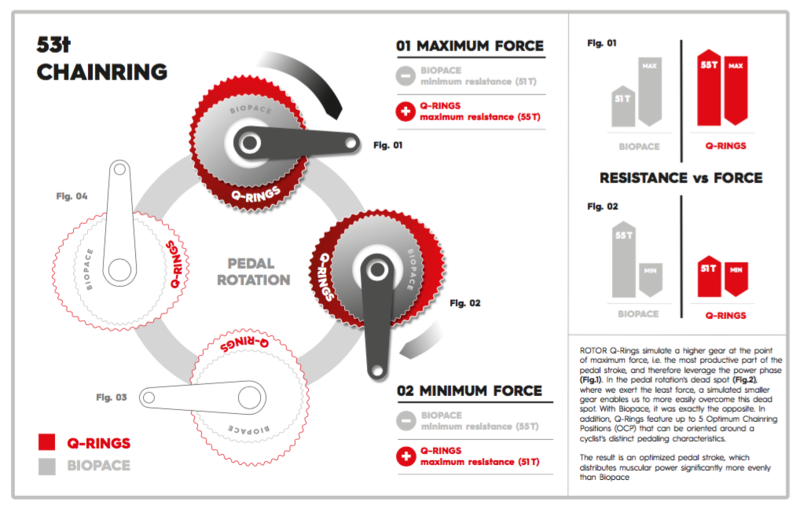 If you want to dig a little deeper into the science behind oval chainrings (with a specific emphasis on ROTOR’s Q rings), download our White Paper “The Science Behind Non-circular Chainrings” here.